During the 1962 crisis in the old Western region, opposition party leaders of the Action Group found themselves accused of a coup plot and threatened with detention. One of the party leaders, Chief Antony Enahoro escaped via Ghana to the United Kingdom to seek political asylum. Nigeria requested Enahoro’s extradition under the 1881 Fugitive Offenders Act, preventing his application for political asylum. 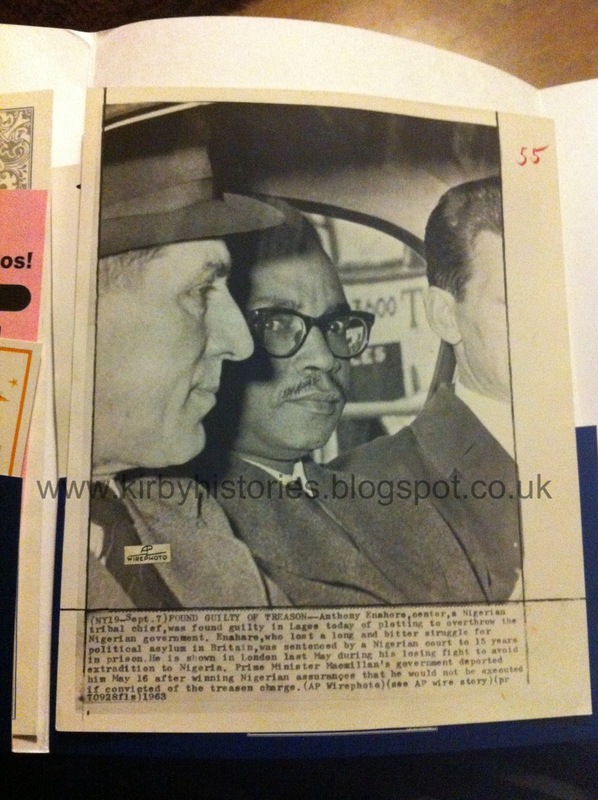 The once best-known Nigerian politician in Britain was now a “fugitive offender”. 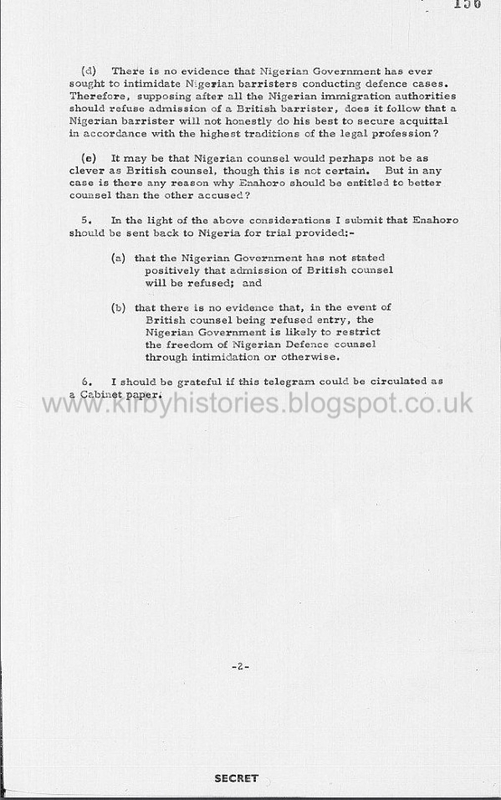 “The Enahoro affair” triggered days of debate in the House of Commons, in 1963 as he battled against extradition. 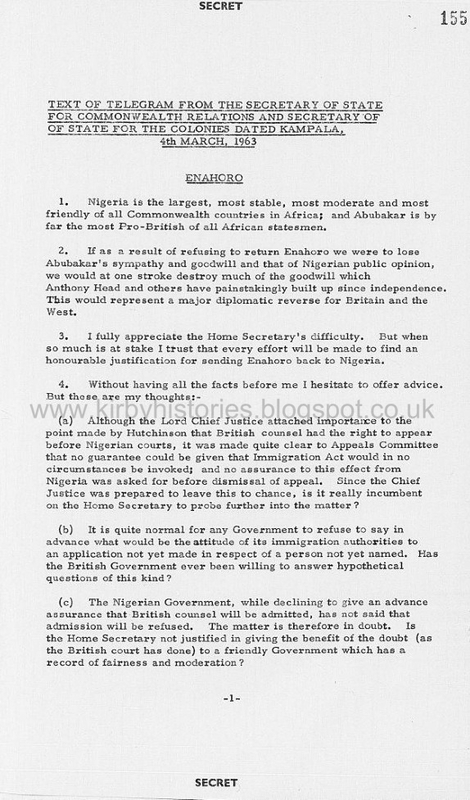 “The Enahoro affair” became an issue of human rights versus the government’s pusillanimous wish not to offend Nigeria, and put the Tory prime minister, Harold Macmillan, and his home secretary, Henry Brooke, in a difficult position. He was extradited from the UK and imprisoned for treason. In 1966, he was released by the Military Government. 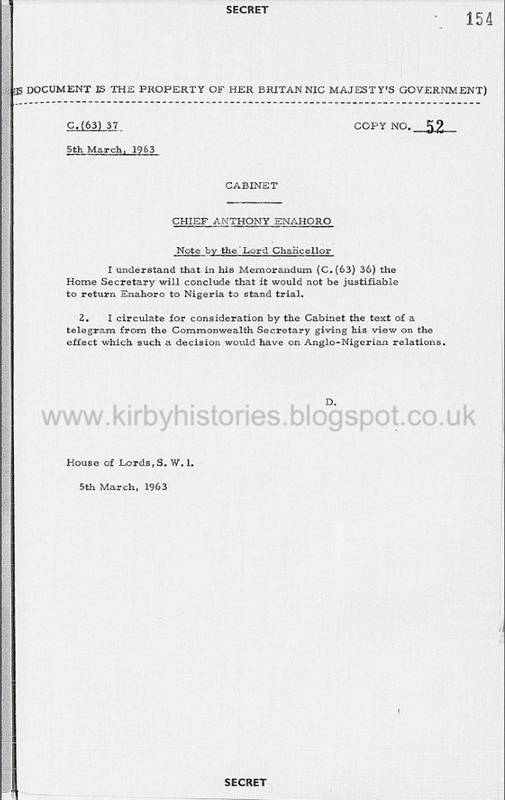 Here is a document highlighting the situation the UK government found themselves regarding the “The Enahoro affair”…..I will post more declassified documents later.